The Holocaust Project is concerned with relevant documents covering events that took place in the territory of the former Galicia during the period 1939-1943, particularly those with useful genealogical and historical information. The main sources for the project at present are state archives in Poland and western Ukraine, as well now as some municipal offices, such as those in Tarnów and Nowy Sącz. There are, of course, important documents in other archives, libraries, local museums, government ministries, universities and private collections, not only in Poland and Ukraine but elsewhere in Europe, North America, Israel and other parts of the worlds. There are specialist institutions dedicated to preserving the memory of the Holocaust, such as Yad Vashem in Israel and the USHMM in the United States, and there is the large collection of Holocaust documentation, the International Tracing Service, in Bad Arolsen in Germany. There are also written and oral testimonies of the Holocaust, preserved in these specialist institutions and elsewhere, including the yizkor (memorial) books produced by groups of Jewish survivors from Galician towns. Earlier this project, Gesher Galicia looked mainly at vital records from the Holocaust period. From 17 September 1939 to the end of June 1941, the eastern part of Galicia was occupied by Soviet forces, who controlled the territory to the east of the River San, including a small area of present-day Poland in the far south-east. Once they had established a civil administration in their area of control—usually by early 1940—the Soviet authorities kept their own records of births, marriages and deaths. 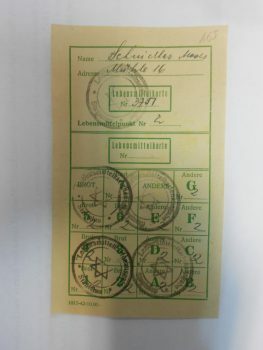 Very few of these records are known to have survived, though more may become available if they are still kept, at present inaccessibly, in civil registration offices in Poland and Ukraine. 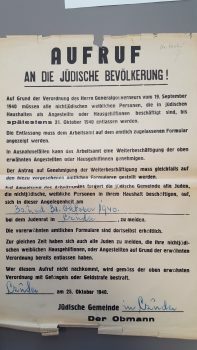 Under the German occupation—from September 1939 onwards in the western part of Galicia and from late June/early July onwards in the eastern part—the Jewish community councils, (Judenräte, Rady Żydowskie) were obliged to keep vital records. Many of these books (both books of full records and index books) have not survived. A few are currently accessible in state archives in Poland and Ukraine and most of these have already been researched and transcribed in Gesher Galicia’s Holocaust Project. 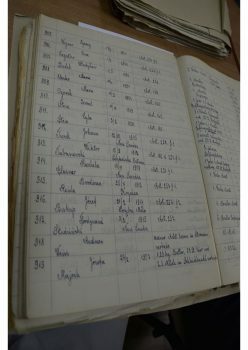 A significant number of Jewish vital record books are still held in civil registration offices, including 99 books from 57 towns of eastern Galician towns (40 of them registers of deaths) in the Civil Registration Office (USC) in Warsaw. Apart from providing genealogical information, vital records from the Holocaust period, particularly the death records, can shed light on the events that took place—including the mass “Actions” and deportations—and on the conditions in the occupied towns and in the ghettos. Lists of residents in the town or ghetto. Lists of forced labor-camp workers, with their occupations, dates of birth and sometimes other information. Registration or identification documents, including passports, of Jewish residents. Another, and unusual source of information on the Holocaust, held in the Nowy Sącz state archive in a large fond of municipal records, consists of two books of punishments that were meted out to the whole population in the occupied town, both non-Jewish and Jewish. There are some 7,000 records in these books, from 1940 to the end of 1944, though after August 1942 no Jews appear in the lists, all having been killed or deported by that date. Many offences were punished with fines. Others, considered more serious, were given prison sentences, ranging from a single day to over a year. In one record, a Jewish man who had omitted to shovel snow from the sidewalk outside his house was imprisoned for a day. Testimonies provided by survivors form an important source of information about the Holocaust. Many such pieces of evidence are held at Yad Vashem, USHMM and other institutions worldwide. At least one extensive file relating to the former Galicia exists in a state archive—in this case in the Rzeszów state archive. It contains almost 800 testimonies of death, provided shortly after the end of the war in 1945 by Jewish survivors­—about family members, neighbors and friends from the Dębica area who had died (in nearly all cases having been killed). There are also questionnaires that medical staff (doctors, nurses, dental technicians, midwives and others) throughout Galicia were forced to fill in. Often including photos, these four-page forms provide extensive details about the person and their family members, and also about where the person had studied and practiced. The Holocaust Project has earlier indexed over 100 such questionnaires held in the Przemyśl state archive, and a small number held at AGAD in Warsaw. Yad Vashem in Jerusalem holds a large set of these questionnaires. In 2019, the Project is focusing on records from the Stanisławów Ghetto. The Ukrainian State Archive of Ivano-Frankivsk Oblast (DAIFO) has a large set of records from the Ghetto from 1942-1943. They include Fond P-57, Series 1, File 104—a card index of those registered for an obligatory insurance scheme for employees and their families. 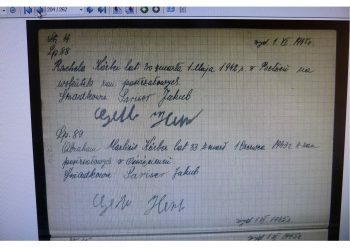 In addition, the Polish State Archive branch in Przemyśl, in their Fond 154 (IGW), Files 38-52, holds further valuable information, with a partial index of the ghetto residents, household index cards ordered by street name and house number, and food ration cards for a two-month period in 1942. The Project will index all this material, and attempt to compare and link the various sets of records from the two archives. 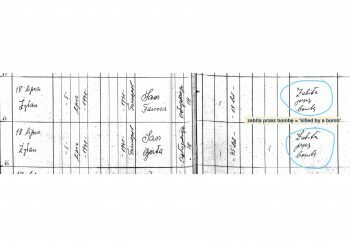 For further information on the Stanisławów Ghetto and the Gesher Galicia project to index the ghetto records, see the article by Michał Majewski in the December 2018 issue of the Galitzianer, “The Stanisławów Holocaust Project: Bringing back lost names.” See also the map of the Stanisławów Ghetto, 1941, in the Gesher Galicia Map Room. In 2018, the following records were indexed in the Project. 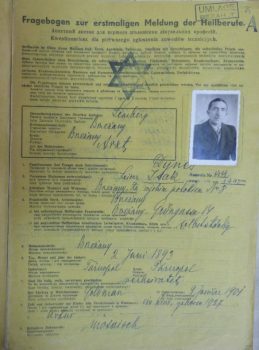 Lists of Jewish town or ghetto residents, registration cards: Czudec, Mielec, Rzeszów. Forced labor, food ration coupons: Czudec, Nowy Sącz. Vital records (indexed jointly with the Vital Records Project): full records from Brody (fragments), Rzeszów, Sokołów Małopolski; and index books of vital records from Bochnia, Gologóry, Klasno-Podgórze (Wieliczka), Nowy Wiśnicz. The basic indexes are made available—as with all Gesher Galicia projects—on the freely searchable All Galicia Database. In addition, all completed spreadsheets of indexes, along with images of the original records, are made accessible to Gesher Galicia members through the Members Portal on the website. Donations towards this project, though, of whatever size, will be greatly appreciated. We cannot, of course, guarantee in advance whether a particular record set will be complete or will contain information of interest to a particular researcher.